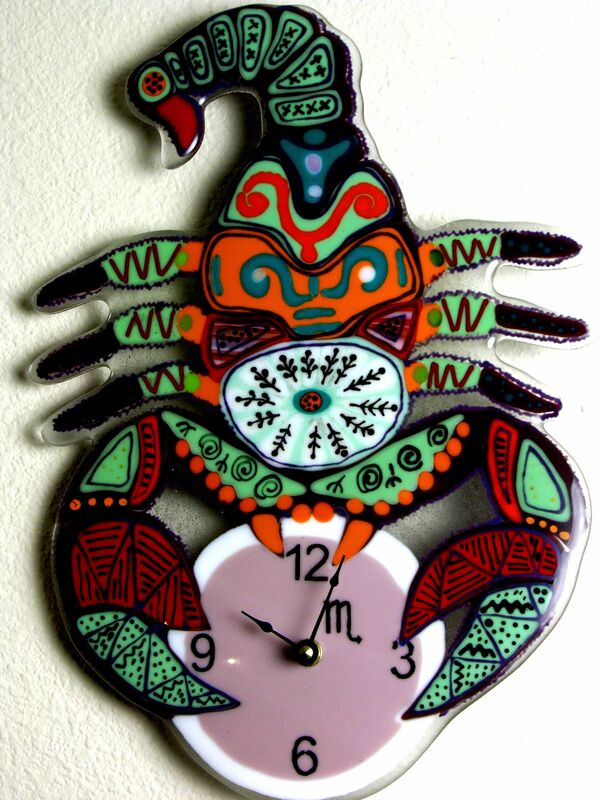 Those of you who are scorpions would love this clock. This Scorpio is made of fused glass and will decorate your living room, bedroom or a kitchen. This is original Scorpio - you'll never find exactly the same.